The Eighth International Congress on Advanced Electromagnetic Materials in Microwaves and Optics – Metamaterials 2014, will comprise a 4-day Conference (25–28 August), and a 2-day Doctoral School (29–30 August). 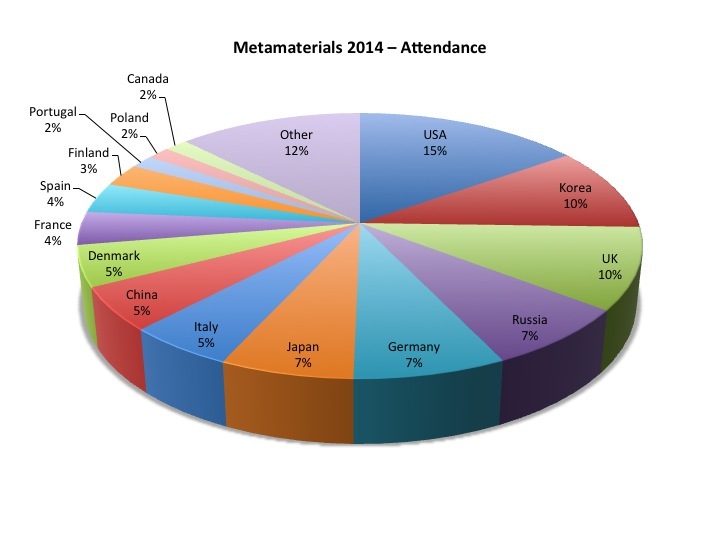 Organized by the Metamorphose Virtual Institute and hosted by the Technical University of Denmark, this Congress follows the success of Metamaterials 2007-2013 and continues the traditions of the highly successful series of International Conferences on Complex Media and Metamaterials (Bianisotropics) and Rome International Workshops on Metamaterials and Special Materials for Electromagnetic Applications and TLC. The Congress will provide a unique forum to share the latest results of the metamaterials research in Europe and worldwide and bring together the engineering, physics, and material science communities working on artificial electromagnetic materials and their applications at microwaves, millimeter waves, terahertz, and optical frequencies.